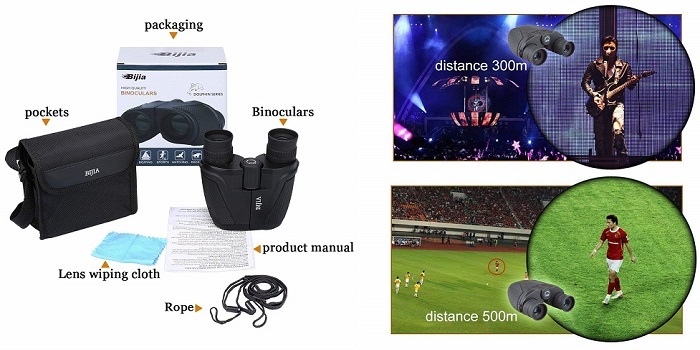 Binoculars help you to to get a close-up view of things far away. They are cheaper, smaller and easier to set up than telescopes. They offer better comfort than monoculars. 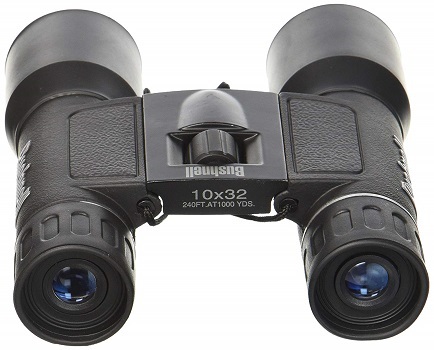 Binoculars are a perfect choice for bird watching, hunting, hiking, sailing, stargazing from your backyard, used at concerts, sporting events, etc. So if you like to enjoy the benefits mentioned above, and looking for the best binoculars priced under $50, the list below will simplify your search. 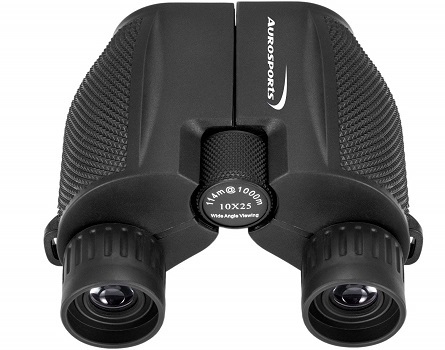 Designed with contemporary styling & black rubber armoring ensures Bushnell Powerview to sustain active use. It offers a variety of magnifications, styles and sizes, and fully-coated optics for bright & vivid images. The center focus wheel is easy to operate, with or without gloves on, and moves smoothly but with still enough friction to prevent accidental movement. 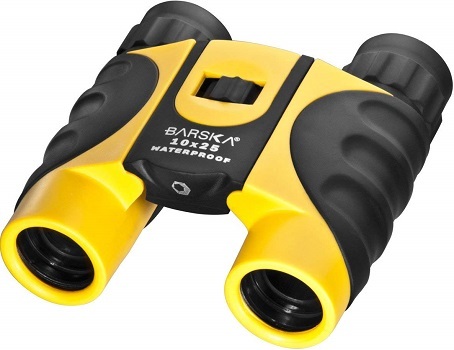 While to protect your investment, this foldable binocular comes with a lifetime warranty. • The adjustable focus works very well. 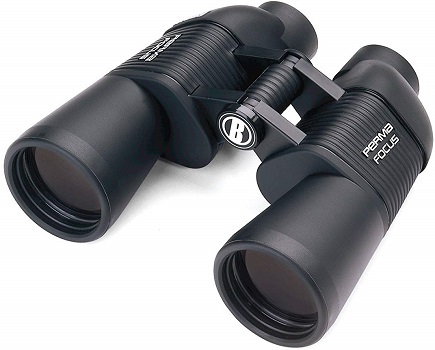 PermaFocus binocular allow your eyes to catch the action instantly with stunning clarity with no adjustments needed. 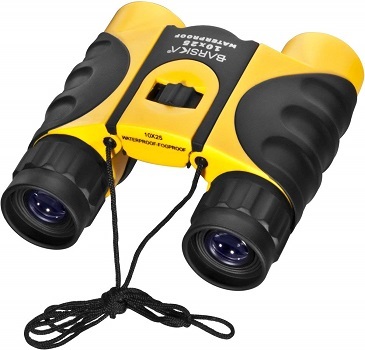 Its unique focus-free feature keeps the binocular dialed in for instantaneous viewing at any distance. Not only easy to hold and use, it also durable can withstand the test of time. A perfect choice for sporting events, nature observation and winter days when gloves would hinder the use of standard-focus binoculars. • No need of continuos focusing. • Only good for long range use, not close up. Designed with a rugged exterior for better durability and a large field of view for a better experience in watching fast-moving things. It’s nicely rubber armored with thumb indents and good grip to it. 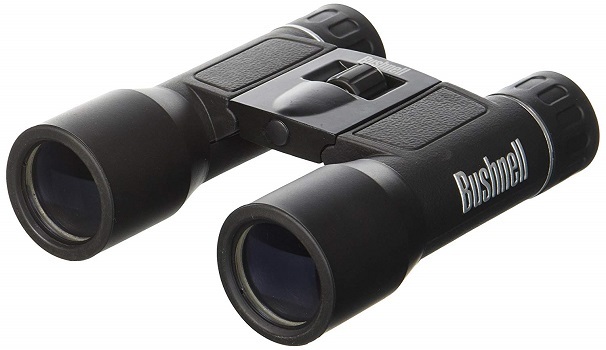 With lots of light gathering ability, 50 mm objective lenses, and exit pupils of 5 mm, this binocular will be able to keep up with your glassing needs as low light hours approach. • Fully adjustable to adults alike. • Easy to focus onto object at far distances. • Very sturdy and very clear to see things even at night. • A bit bulky & heavy. • Does not have internal coating. 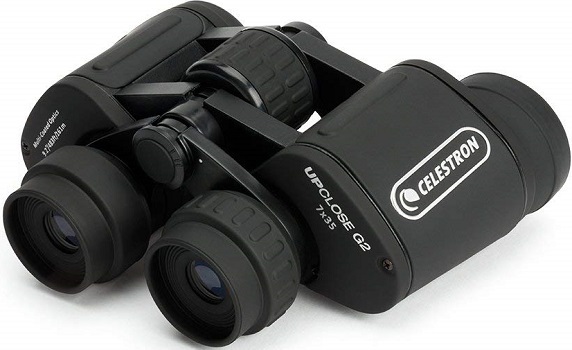 • Full 10 x magnification, 50mm object lens diameter, more clear, even low light condition. • Multiple layer coated aspherical lenses elements for light reflection and minimal distortion, better image brightness, contrast and quality. • Rubber finish for shock resistance and a firm, comfortable grip, durable. • Field of view angle (367Ft / 1,000Yds), good for fast moving subject. • Focus by adjusting the right eye cup and center wheel. 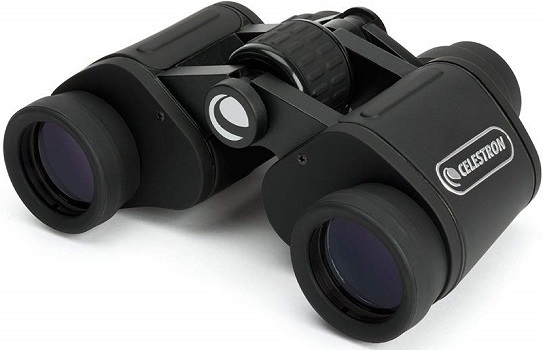 This pocket-sized binocular does not work in complete darkness but can deliver great visibility in low lights. While the FMC multi-layer broadband green film, increasing light transmission for brighter and higher-contrast images. 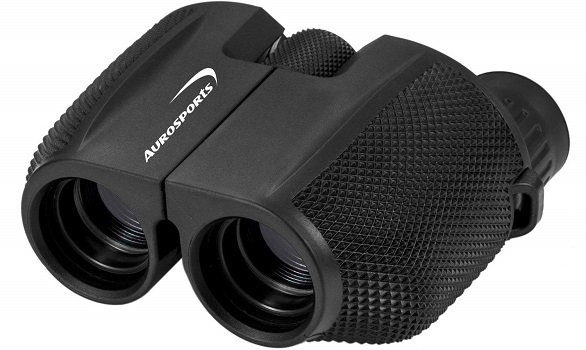 Aurosports is very suitable for bird watching, climbing, fishing, camping, hiking, hunting, concerts and other indoor or outdoor activities. 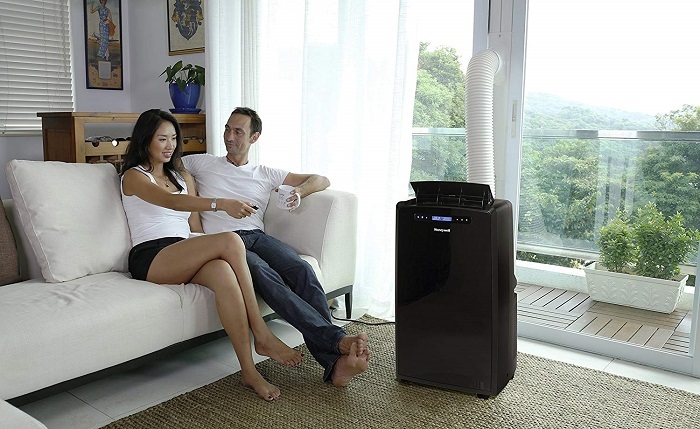 • Excellent light transmittance reach up to 99.5% and brightness. • It might be a little difficult to focus. • Not a perfect fit for people who have sight problems, like, astigmatism. • Large field of view - 362ft/1000 yds. • Fully multi-coated lenses, waterproof, hyper-durable anti-slip grip. 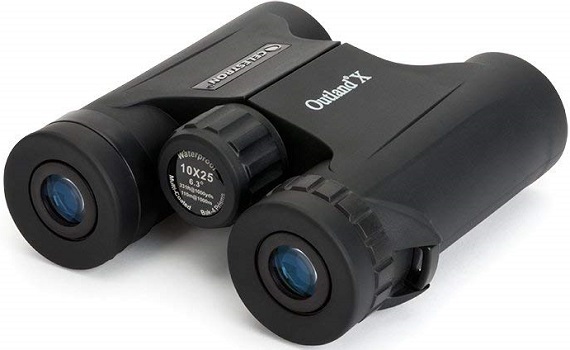 • 10x magnification with 25 mm objective lens allows you to see objects 10X’s closer. Comes with a design that is not much larger than an average smartphone so you can easily carry it in your pocket. It so easy & comfortable to use with or without eyeglasses. As for better protection, this binocular comes with rugged, armored exterior, secure gripping surface, and a lifetime warranty. • Waterproof and fog proof. • Large focus knobs make for easy and precise focusing. • Twist-up eyecups allow for quick adjustment of eye relief to obtain the full field of view. • Strap is kind of chincy. 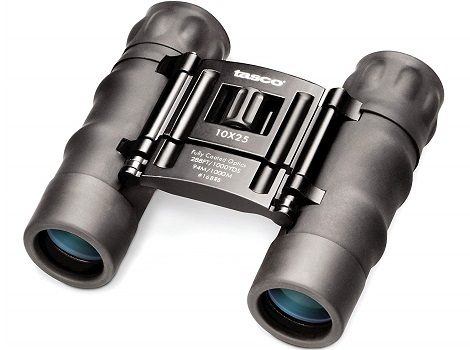 This binocular comes with XMC technology and BAK4 prism which can 100% reflect the light to keep a good image. Suitable for both adults and kids,fit for hunting, hiking, sailing, bird watching, concert, outdoor sports etc. • Very clear and excellent focus. • The neck lanyard doesn't detach. • It has a range of 273 feet at 1000 yards. • Night vision,with green film optics glass lens you can see the stuffs clearly in weak light condition. • Water resistant (Grade IP4). • XMC technology with BAK4 prism which can 100% reflect the light to keep a good image. • Includes hand strap, carrying pouch and cleaning cloth. 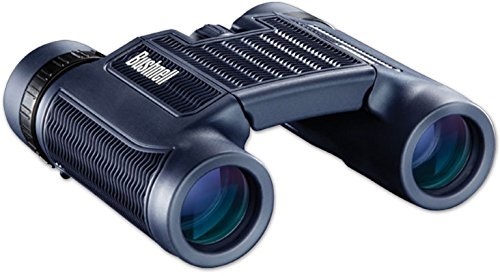 This compact and lightweight binocular offer powerful 10x magnification making it an excellent choice for big-game hunting in the mountains or wide-open country. The lenses themselves are crystal clear and they are fully coated to protect them from scratches, are color correcting, and ensure clarity of image while you are using them in the field. The focus system gives you a smooth transition when you change your area of interest, which saves on eyestrain. A lifetime warranty is provided to protect your investment. • Very clear without light interference. • Light enough to hold up for a long time. • Comes with nice fabric cases which can be attached to belt. • Not great in low light. • The neck strap is a string with no way to replace it. Designed with a soft texture grip to keep the binocular on board and in your hands in the most challenging conditions. It offers a bright, clear viewing experience and a longer eye relief. While due to multi-coated optics, this binocular produces vibrant colors, and you can experience the true color of nature as well. 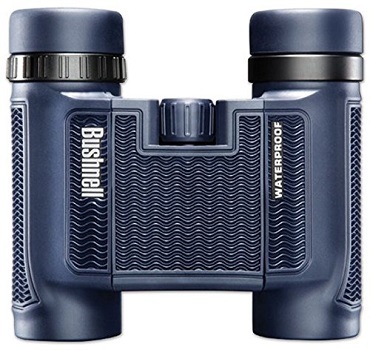 To protect your investment, this compact binocular comes with a lifetime warranty. • Easy to adjuts, focus, an carry (can fit in coat pocket). • Every hand movement is noticeable. • Dual hinges on main body allow them to be folded very small. • The strap and case are not top of the line. • A small amount of chromatic aberration at the outer edges of the field of view. 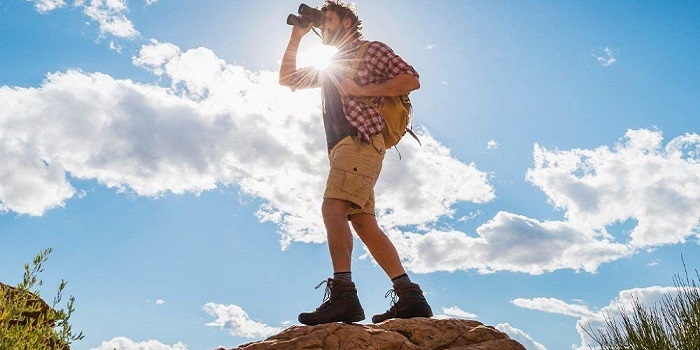 This waterproof binocular provide an ultra wide-open field of view, multi-coated lenses (provide bright and clear images with exceptional contrast), and a lightweight mid-sized chassis for ease of carrying making it great to be used for any purpose. 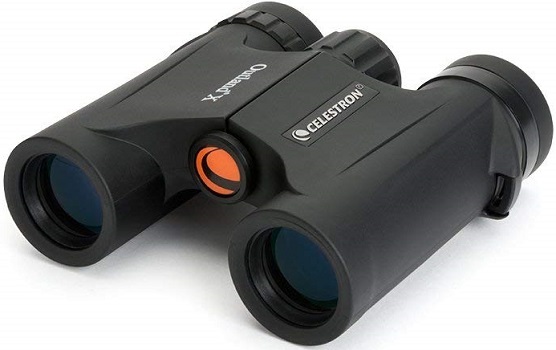 Celestron UpClose G2 71250 is very comfortable to use and eyeglasses friendly. 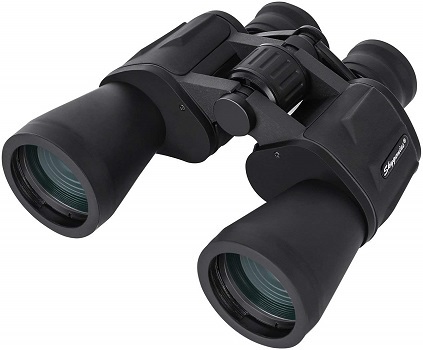 While its durable external armor protects the binocular against the rigors of active use. • Easy to use and focus. • Because of their size, for hand-held use they can be difficult to use. • The alignment knobb tends to get unaligned so it needs to be adjusted often. 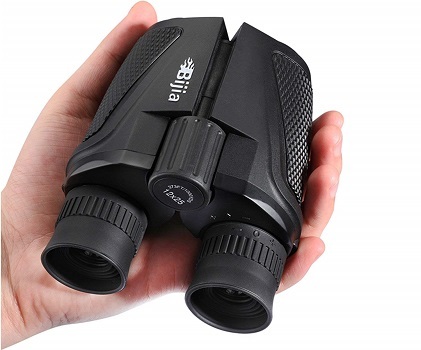 The ergonomic design and complementing features of this binocular delivers a comfortable user-experience and quality images. The fold-down rubber eyecups, provides ideal eye-relief for those of you who wear glasses. 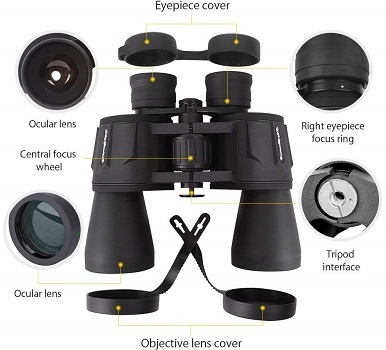 While for ease of use, it comes with center focus knob so you can easily focus your view without having to take your eyes off of the binoculars. The hinged folding body and roof prism design will allow for ease of transport in a pocket or small bag. As for better protection, it also comes with armored housing (protect your optics from moisture and light shock) and a lifetime warranty. • Waterproof / fogproof housing: an o-ring sealed and nitrogen purged design keeps debris and moisture off of the internal optics.